It looks like Prophet (hero of C2) will officially be back for more in part 3- and he's not alone. The alien invaders, the Ceph, will also be back for more. And what game unveiling would be complete without the announcement of a special edition and some good old fashioned pre-order incentives! 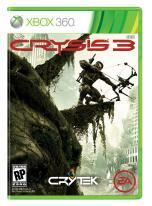 Lock in your purchase of the Crysis 3 Hunter Edition now and you'll also lock in access to a 'signature bow and it's attachments' as well as power and functionality boosts for your nano suit. Want more? You'll also get a boost for multiplay as you'll start the game with level 5 XP and a few more bonuses like a skin for your bow and three dog tags that'll have you "hunting in style". And then there are the bonuses. 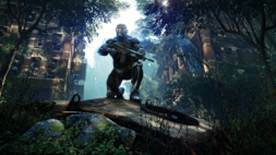 Crysis 3 is being prepped for a Spring 2013 launch for the Xbox, PS3, and PC. If you're eying that 'Hunter Edition', it can be yours for $59.99 and is all set for pre-order right now from Origin and "other participating retailers".